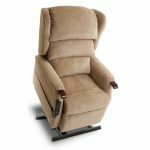 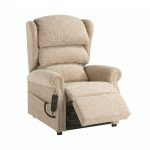 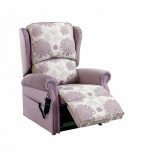 A highly adaptable riser recliner, with a range of rise and recline options, including single motor or dual motor tilt in space. 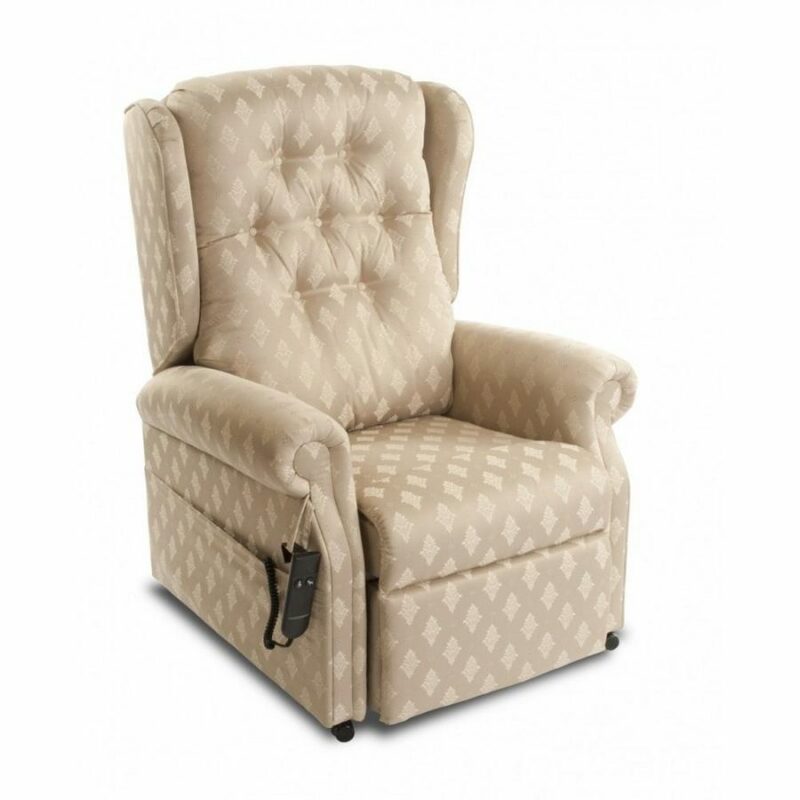 Tailored and upholstered arms and padded and upholstered wings make this a very popular choice. Available with a range of back cushion options – waterfall back with three tiered cushions that can be individually adjusted for comfort; a split back cushion providing very good support for the lower back and head; a traditional button back; and a soft centre cushion with deep lateral cushions either side to help nestle the back in a comfortable midline position. Available in a choice of seat height, width and depth up to bariatric sizes. Choose from a wide selection of fabrics and colours. 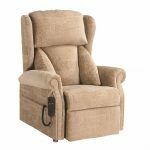 Also available with a carved wooden knuckle on the arm for easy grip.